The highway Yamoussoukro-Abidjan is almost finished and I can cycle at the speed of light (for a photon on a saddle) on the empty lanes. Ivory Coast is very good to tour after the quartet Guinea-Bissau/Guinea/Sierra Leone/Liberia where paved roads are rare and finding electricity is an achievement. 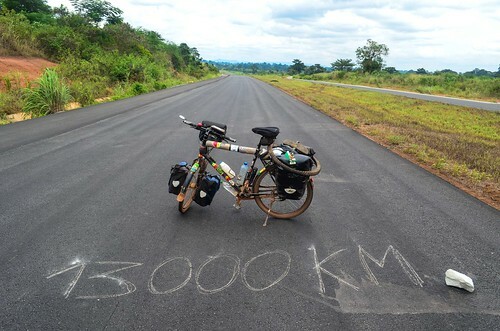 I reach 13000 KM on my way to Ghana.